One result of the numbers of MPs choosing not to contest their seats in the wake of the expenses scandal is that we can look forward to a fair number of maiden speeches in the House of Commons. It’s not often, however, that a maiden speech is also a maiden speech for a political party. That was the case yesterday with the Caroline Lucas maiden speech in Parliament. Elected MP for the Brighton Pavilion constituency, the Green Party leader began her party’s parliamentary career yesterday. Maiden speeches are typically formulaic in their construction. By tradition they are short. They thank their local electorate for the privilege of being elected. They sing the virtues of the constituency–its people, its geography and its industry for example. And they also praise the previous incumbent. In the introduction to her maiden speech, Ms Lucas noted how the last maiden speech from a new national political party was several decades ago with the first Nationalist MPs in Scotland and Wales…the 1940s and 1970s respectively. She overlooked the SDP MPs of the 1980s of course. Perhaps because they had swapped sides from the Labour party. This Caroline Lucas maiden speech followed convention, unlike that of the Pearse Doherty Dail speech in Ireland. So, it thanked her constituency. It praised her predecessor, Labour MP David Lepper, who stood down at the election. Then, it praised Brighton in general and Brighton Pavilion in particular. And it also outlined her stance on the issues that needed focus. 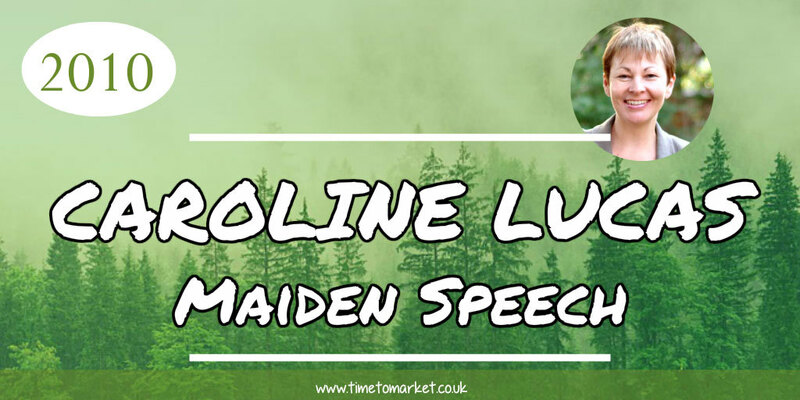 This Caroline Lucas maiden speech didn’t bristle with rhetoric. With repetition, the speech noted “the long journey” that the Green party has taken since its inception as the Ecology party in 1973. And repetition was well used with the phrase, “a single MP,”–repeated six times. But rhetorical devices aside, this was a well-worded maiden speech for the Greens and Caroline Lucas. You can find plenty of public speaking resources with our library of top tips, podcasts and videos. And with more than 100 tips to choose from, there’s something for every speech opportunity. 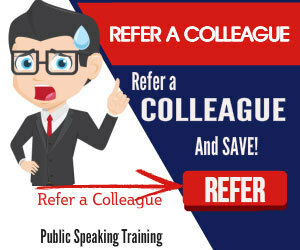 But when you want to boost your own public speaking skills even further, then why not look into public speaking training. 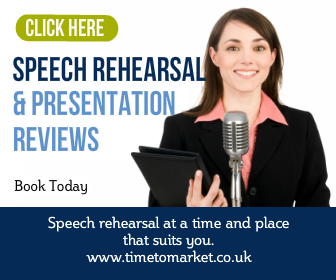 Because a well-timed public speaking course should be just the tonic you and your team need. So, when the time is right, please don’t hesitate to get in touch.